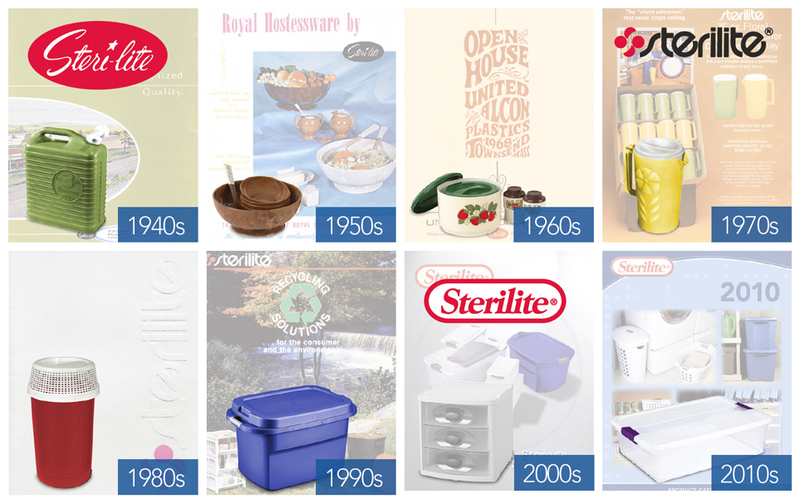 For more than 75 years, Sterilite products have helped make everyday life a little easier and a lot more organized. You may be surprised by how many of our products are at work in your home today. It may be one of our heavy-duty Totes stacked in your basement with camping gear; a few of our Modular Drawers stacked in your closet helping to create an organized space; or maybe it's one our Weave Baskets keeping your mail looking tidy on your kitchen counter. We are the largest plastic housewares company in North America. Sterilite's broad line features some of the most innovative and distinctive products available on the market today. From food storage containers and laundry / utility products to home storage and organization products in every shape, size and color; Sterilite helps you "keep it together" like no other. 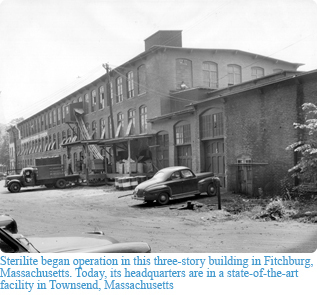 Sterilite Corporation was founded in 1939 as a partnership between Saul and Edward Stone and Earl Tupper. Before that time, the Stone brothers were engaged in the manufacturing of wooden heels for women's shoes. They formed the partnership to produce heels by the infant process of injection molding. The partnership was short-lived, however, because the plastic available then was not sufficiently heat resistant to withstand weight and stress in hot weather. With the advent of World War II, they began manufacturing personal articles (plastic combs, toothbrush holders etc.) for the Armed Forces and in the years that followed, gained considerable expertise in manufacturing toys, plastic giftware, and a wide range of tabletop products, beverageware and household containers. During the 1960s the company developed a broad line of plastic housewares including innovative new products such as food storage bowls and a first generation storage bin. In the decades that followed, Sterilite's growth has been driven by product innovation, product line expansion, and an unyielding commitment to serving the needs of our customers. From a small partnership between two brothers, Sterilite Corporation has become the largest plastic housewares company in North America.